Medical vacuum pumps, dry vacuum pumps, industrial vacuum pumps; we do all of these and more! All of our products are put through extensive testing before being shipped out to our customers and we even offer a thirty day trial period on our pumps to make sure they’re a fit for you! To receive more information on how to get started with our company get in touch with our customer service representatives today! Liquid ring vacuum pumps are vacuum pump systems that make use of a liquid seal to maintain the negative pressure of a vacuum. Vacuum pumps are devices that remove atmosphere from an enclosure. When atmosphere has been removed from an enclosure, the area within the enclosure is called a vacuum. A complete vacuum is a space devoid of pressure. In practice, it is impossible to create a complete vacuum. 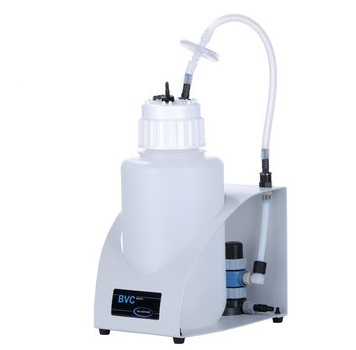 The medical technology and research fields are always searching for new innovations; medical vacuum pumps allow researchers to conduct experiments and tests under controlled conditions without fear of interference from air molecules or small, airborne particles. Medical vacuum pumps are usually small, quiet, powerful and low maintenance. They are often made from stainless steel because of the material’s strength and contaminant-resistant properties. These pumps may also be mounted on wheels or in cabinets so they can be easily moved when necessary. Medical vacuum pump tubing and gaskets are made out of strong plastic and rubber that can withstand extreme conditions without boiling or releasing harmful gasses. One of the most common uses for medical vacuum pumps is for the provision of suction during surgical procedures. 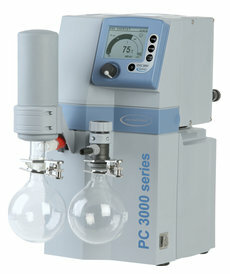 Pneumatic air supply, gas chromatography, air quality samplers and analyzers rely on vacuum pumps as well. Simple vacuum pumps called aspirators remove excess fluids through a tube system. Aspirators are important vacuum pumps because they provide fast and easy suction almost anywhere. Medical vacuum pumps vary in their configuration depending on a number of factors. Aspirators, for example, are basic, non-mechanical devices that generate a vacuum through the Venturi Effect, which is the reduction of pressure in an enclosure that occurs when a fluid flows through a constricted section of that enclosure (in this case a pipe or tube). Other vacuum pumps can be more complicated. There are three main kinds of mechanical vacuum pumps: positive displacement, momentum transfer and entrapment pumps, though within those categories there are subcategories. Many medical vacuum pumps are positive displacement pumps that are also rotary vane pumps. Diaphragm pumps are another variety of positive displacement pump. Momentum transfer pumps work by causing gas molecules to accelerate in a consistent direction through repeated collisions with a solid surface or steam jet. Entrapment pumps use rapid heating and cooling to cause condensation, which in turn traps molecules in a solid or absorbed state. All vacuum pumps can also be identified as wet or dry. Oil-lubricated pumps and liquid ring vacuum pumps both involve a liquid at some point in their processes. Dry vacuum pumps don’t make use of any liquid and are more suitable in healthcare contexts. Lubricant oil could, if used in a medical vacuum pump, enter pump air streams and contaminate workspaces or harm patients. For this reason, almost every medical vacuum pump is oilless. Medical Vacuum Pumps - Vacuubrand, Inc.